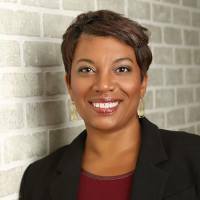 Chanda is the Senior Vice President of Community Impact at the Minneapolis Foundation, where she oversees discretionary grant making, convenings, and community partnerships, and is a contributor to the overall strategic direction for the foundation. She serves as liaison for several key partnerships, including the Robins, Kaplan, Miller & Ciresi Foundation and the Catalyst Initiative. Formally, the President and CEO of Pillsbury United Communities, a complex community-based nonprofit that operates neighborhood centers, authorizes 20 charter schools and eight social enterprises. Under Chanda’s leadership, the organization pursued bold strategies to address systemic inequities, one of which was opening North Market, a health and wellness integrated grocery store. Prior to assuming this role, she provided leadership at Pillsbury United Communities for ten years in a variety of demanding positions, including Chief Learning Officer, Vice President for Strategic Partnerships and Director of Government and Community Relations. Throughout her career, Chanda has served on numerous boards and advisory committees. She is currently serving as a Trustee for the Women’s Foundation of Minnesota, and board member for Public Allies National, Minneapolis Regional Chamber of Commerce, and CommonBond Communities. She has participated in a wide range of strategy development; these include the Alliance for Strong Families and Community, Greater Twin Cities United Way and the Future Services Institute at the Humphrey Institute. Chanda’s civic leadership has led to various recognitions and awards, including Minnesota Business Magazines’ 2018 “Real” Power 50, Women in Business Honoree, Hubert H. Humphrey Leadership Award, FBI Community Leadership Award, Minneapolis-St Paul Business Diversity in Business honoree and a Hometown Hero recognition in 2011 for her role leading the recovery efforts following a tornado in North Minneapolis. Ms. Smith Baker holds a Master of Arts – Organizational Management and Communications degree from Concordia University. She also has Executive Certificates from MenTTium 100 Executive Leadership Program, the University of Michigan Ann Arbor’s Executive Leadership Institute and Georgetown New Strategies Program. Shannon Smith Jones is the Executive Director at Hope Community. She studied Leadership and Management at the Master’s Program at Concordia University and received her Bachelors of Science in Family Social Science from the University of MN. In addition to she is a Qualified Administrator of the Intercultural Development Inventory and has been trained in Results Based Facilitation. She brings with her 15 years of community impact experience, a strong passion for housing justice and brings to her work a community focused asset based approach. Rachael got involved in the gun reform movement after her aunt Shelley was murdered in the courthouse shooting at the Hennepin County Government Center in downtown Minneapolis, MN on September 29th, 2003. The shooter had purchased a gun for $60 through a private sale at a gun show with no background check required by state law. Rachael is a former Survivor Engagement Lead with Mayors Against Illegal Guns/Everytown for Gun Safety and former Director of Outreach and Communications at Protect Minnesota, both gun violence prevention groups. She currently volunteers at Lucy Craft Laney elementary, serves on the Board of Directors at the Minnesota Alliance on Crime, the Board of Directors at the Standish-Ericsson Neighborhood Association, and is the current Advocacy Director at Women Against the Violence Epidemic (WAVE). Rachael has a background in electoral politics as a former volunteer for Senator Paul Wellstone, former Field Organizer for Representative Raymond Dehn's Mayoral campaign, former Campaign Manager for Neighbors for Sara Freeman, former Communications Director for Paul Thissen for Governor and is the current Campaign Manager for Representative Jim Davnie. Rachael co-founded and is the Executive Director of Survivors Lead with the philosophy that gun reform will be achieved through a more representative government by electing public servants that are also trauma survivors. 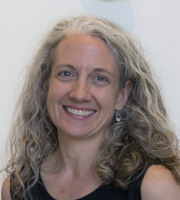 Kerry A. Morgan is director of gallery and exhibition programs at the Minneapolis College of Art and Design (MCAD). As part of her responsibilities at MCAD she oversees two prestigious fellowship programs for Minnesota artists, the MCAD- Jerome Foundation Fellowships for Emerging/Early Career Artists and the McKnight Artist Fellowships for Visual Arts. Morgan received a BA in art history and history from Smith College, and her MA and PhD in art history from the University of Kansas. She was previously a curatorial assistant in the departments of prints and drawings and contemporary art at the Cantor Arts Center at Stanford University; the curator of collections at the Krannert Art Museum at the University of Illinois, Urbana-Champaign; and most recently, the gallery and exhibits coordinator at Augsburg University.